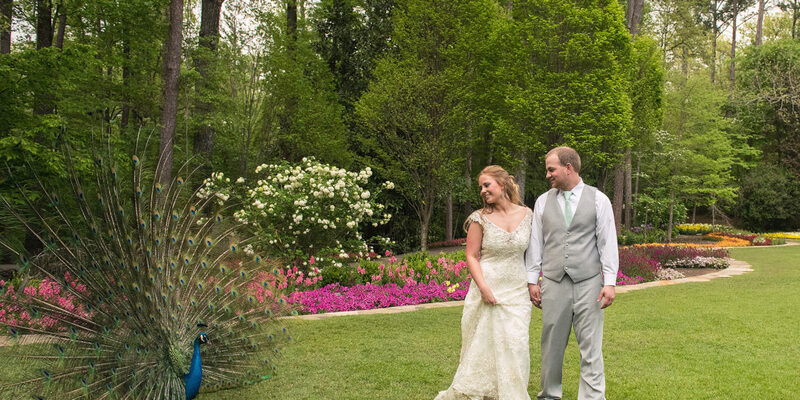 Garvan Woodland Gardens, Hot Springs Arkansas, is the perfect spot for a wedding in the Springtime— a place where flowers are blooming, life is renewing, and promises for the future are being planted. 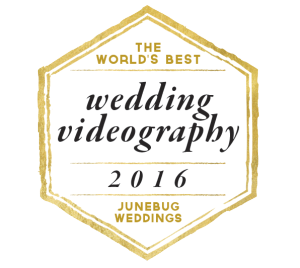 Sunflower Films had the pleasure of filming the wedding of Rebecca & Andrew on April 16, 2016, at Garvan Woodland Gardens in Hot Springs, Arkansas. The beautiful ceremony took place at Anthony Chapel with its intricate architecture that seamlessly combines design with nature. Purple and ivory flowers decorated the chapel as family and friends eagerly awaited the bride and groom. The lovely bride was escorted by her brother as the groom smiled adoringly as she approached. On the bride’s bouquet was a very special locket with a photo of her father. The couple exchanged sentimental vows and were pronounced husband and wife. 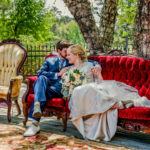 The reception took place at a pavilion on the grounds of Garvan Woodland Gardens. The blown glass chandelier was a stunning centerpiece, and there were flowers in every color imaginable blooming all around. Adding to the fairytale ambiance was the appearance of a gorgeous peacock who seemed to want his photo taken with the newly married couple. 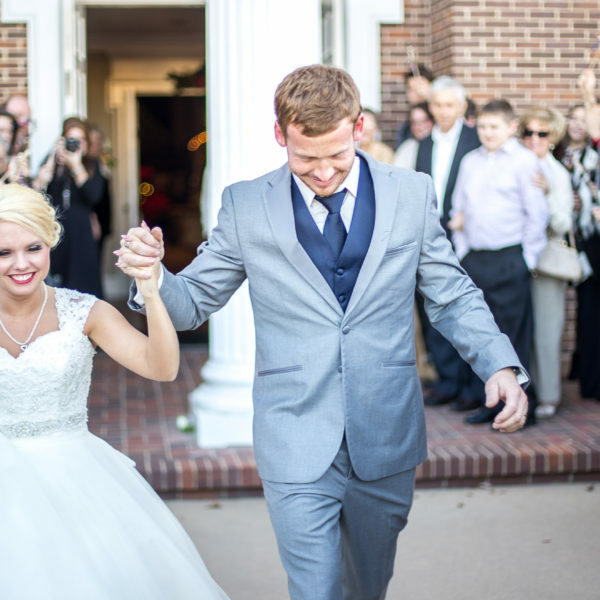 Jason Crader Photography captured this and all of the special moments of the day beautifully. See all the wonderful photos captured by Jason here! Rebecca and Andrew mingled with family and friends and enjoyed a nice dinner followed by sentimental speeches given by the mother of the bride and the maid of honor who both expressed their love for the couple. The father of the groom also gave a heartfelt speech. 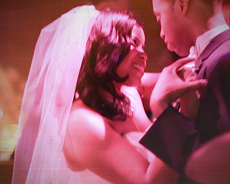 The couple shared their first dance followed by the groom dancing with his mother and the bride sharing an emotional dance with her brother. You could feel the love in the air. The DJ, Tim Koller, kept the music going and got the crowd dancing and having fun out on the dance floor. The couple ended their day with a photo shoot out in the gardens. 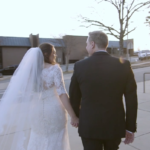 We had so much fun filming Rebecca and Andrew’s wedding and wish them a life of happiness together.